Is it possible to have a working holiday in Australia? Yes, it is, thanks to the working holiday visa that is a type of tourist visa and allows you to stay in the country for one year and work full time. The only restriction is that you can work up to 6 months for the same employer because in this way you are encouraged to move to one place to another and to change job. Certainly, with the working holiday visa is easier to seek an employment in hospitality and often casual. The visa can be renewed for a second year, providing 88 days of farm work in a rural area (the popular farm), for a total of 2 years. Often, happens that this kind of experience in Australia becomes something more longer: like a student visa, for those who want to improve english or get an Australian qualification, a sponsorship, for those who have already all the requirement (english, qualification and experience) so you can be hired by an Australian employee and get the sponsor visa (a temporary visa that lasts 2-4 years with a full-time permit), or a skilled visa, for those who work in a specific professional field wanted in Australia (a permanent visa with or without the employee, in city or rural aerea). Working Holiday Visa: how does it work? 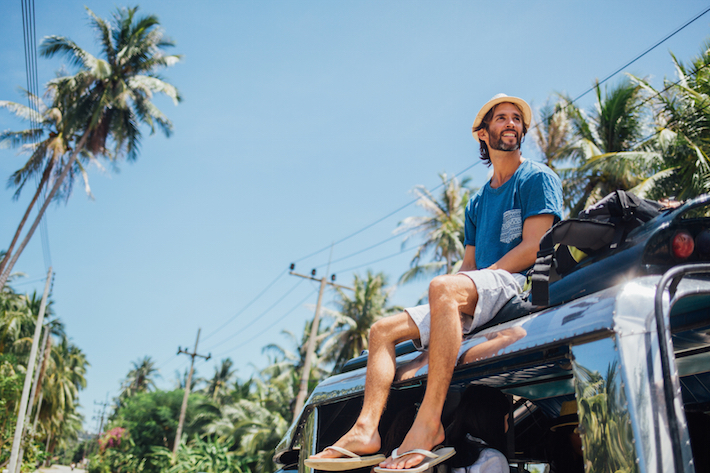 Imagine the working holiday visa like an “Erasmus” in Australia or a period of your life in which you decide to pack up all your stuff and go on the other side of the world. Getting in this country, far 16 thousand km from your home tow, means that when is night time, in Italy is just morning, that nature takes it over, a place where you can learn or improve a language and meet people from all over the world. Let’s say the truth: usually who decides to get this visa has to work many hours during the week because Australia is a very expensive country, but at the same time can give you the chance to travel, sleep in different hostels and make some friends, rent a van and touring around Australia, live 6 months in Sydney and then in Brisbane, working in a farm in the Australian outback to get another year and then start again but with the difference to be more awareness!